OCRA currently fulfils the role of School Sports Co-ordinator for Dartmoor MAT (Okehampton and area schools) and Tavistock Area Schools. Please see our event reports on our schools page for news throughout the year. 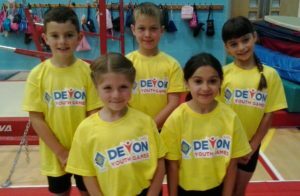 8 teams from West Devon Primary Schools took part in the cross country event at the School Winter Games County Finals, held at Paignton on Thursday 28th March. St Andrew’s year 3/4 & 5/6 boys, Whitchurch 3/4 girls & Tavistock 5/6 girls had won through to the County finals by winning the West Devon event on the 7th March. Crowndale was the venue for the OCRA West Devon Small Schools Football Festival. The first cross country event of the 2019 Tavistock Primary Schools series took place in the Meadows on a mild Tuesday afternoon in February. Meadowlands Swimming Pool and Tavistock Swimming Club hosted the annual Tavistock Primary Schools Swimming gala on Friday 8th February. Tuesday 5th February saw 225 year 3 children from Okehampton, Lewtrenchard, Boasley Cross, South Tawton, Exbourne, Hatherleigh, North Tawton, Bridestowe, Highampton and Chagford taking part in the annual Movement & Dance day at Okehampton College. OCRA Gymnastics coach, Vicki Pritchard, aided by Okehampton college young sports leaders, had the children learning new skills on the double mini trampoline, Ellodie Stott, dance instructor taught some rock n roll moves and Sue Yelland, OCRA stalwart, provided some agility and co-ordination stations, run by the young sports leaders. 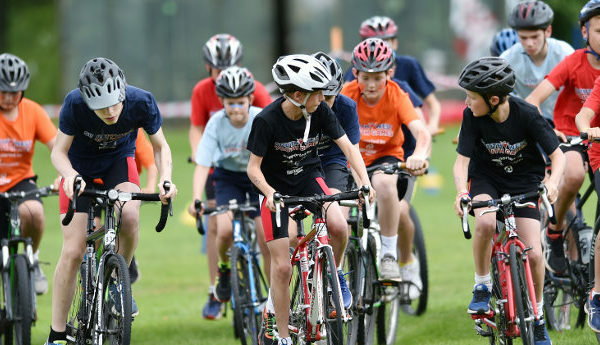 Great partnership Tavi Athletics, Tavi Wheelers and British Cycling supporting schools triathlon. Full programme will be published here soon.